The Philippi Horticultural Area (PHA), a 3 000 hectare piece of green open space that is still zoned exclusively for agriculture within Cape Town’s urban sprawl, may take up space that could be used for housing, but its value to the city could well justify this, according to a University of Cape Town resource economist. In addition to the value of agricultural production, having an agricultural green space within the city also has other values that are difficult to quantify, but which should be taken into account when it comes to city-scale development planning. The different possible ways of quantifying the value of the PHA came into the spotlight again when the City of Cape Town recently upheld its decision to rezone a 472ha section of the PHA for mixed-use development. This area includes 22 privately owned plots which make up 15% of the total PHA. Currently, most of the studies looking at the economic potential of the site only consider the returns on it being used for agriculture, and the potential benefits of allowing it to be used for housing, business, and industry. Resource economist Dr Jane Turpie, from UCT’s Environmental Policy Research Unit (EPRU), is working on a study to estimate the amenity value of some of the ‘mother city’s’ urban green spaces. This study looks at how the recreational and aesthetic value of some of its parks, playgrounds, and green belts increase the value of surrounding property, and enrich people’s lives. Previous work by the EPRU team with the eThekwini Municipality in KwaZulu Natal found that these kinds of urban green spaces increased the value of property in the east-coast city of Durban by over R18 billion. This EPRU study also found that green spaces gave a significant boost to municipal income from rates which are linked to property value. Turpie explains that this kind of accounting system can serve as an incentive to municipalities to create policies that prioritise the conservation or restoration of natural and curated parks, wetlands, forests, and other green belts. While open green spaces of the Philippi Horticultural Area undoubtedly enrich the lives of surrounding communities, its amenity value is probably fairly localised. Nevertheless, according to Turpie, the area probably has other important values which are seldom considered. Beyond the obvious livelihood and employment opportunities provided by the agricultural potential of the land, the benefit of feeding vegetables into the city from here, rather than from further afield, is that it reduces the pollution and carbon footprints of Cape Town’s food system, she says. 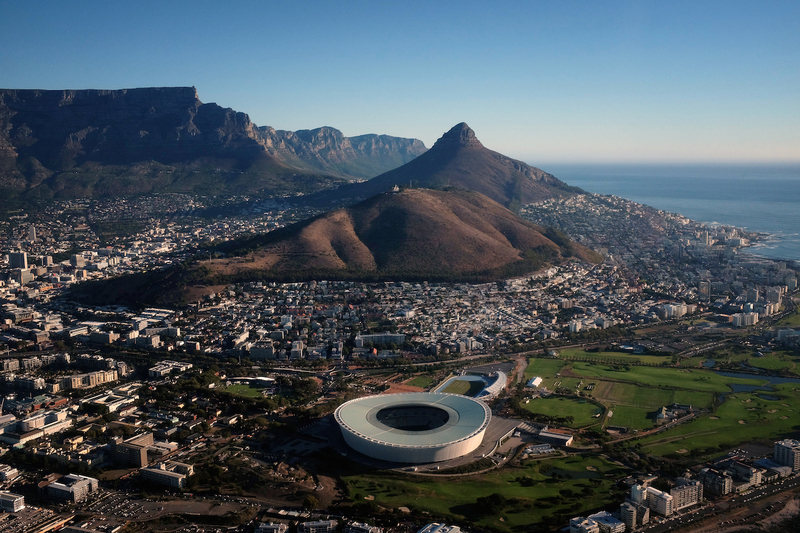 Another possible contribution to the people of Cape Town which has not had a rands-and-cents value attached to it, is relating to the cultural contribution to the citizens here. The PHA diversifies the livelihoods and culture of the people living around the area.